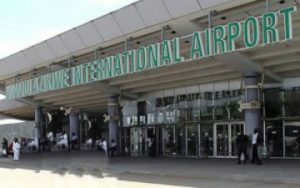 Abuja Airport Runway Ready today – Royal Times of Nigeria. The federal government is keeping true to its promise as the Abuja Airport runway project scheduled for completion on the nineteenth of April, will be ready two days ahead of deadline. This is according the Managing Director of the Federal Airports Authority of Nigeria (FAAN), Mr Saleh Dunoma, who said the Nnamdi Azikiwe International Airport’s runway will be ready by today. In a statement, the FAAN MD noted that the remaining two days will be left for the Nigerian Civil Aviation Authority, NCAA, to do the necessary inspection to certify that the airport has been renovated in accordance with their standards. He added that if there is any observation as a result of the inspection, necessary corrections will be carried out. The Minister of State for Aviation Hadi Sirika had said that he will resign if the Airport is not opened by April nineteenth.